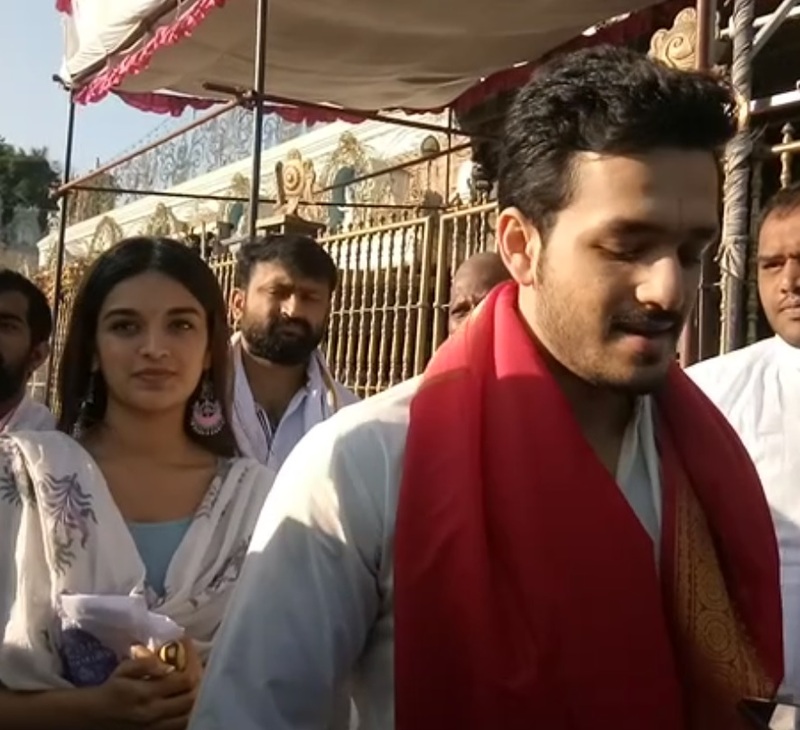 ‘Mr Majnu’ movie team comprising Akkineni Akhil and Niddhi Agerwal have visited the holy temple Tirumala and offered their prayers to Lord Balaji in the early hours of Thursday. Akhil and Niddhi reached Tirumala by walk and they had darshan of the deity today morning. After darshan, temple priests offered vedasirvachanams to them at Ranganayakula mandapam. Later speaking to media person, Akhil said he prayed for the success of Mr Majnu and he expressed confidence that the film will be a great success. The actress Niddhi said she felt very much happy after offering her prayers to Lord Balaji.